The arm rest ismade from pear wood. The special design improves the player's comfort, as well as the playing technique. The arm-rest, mounted on the guitar, does not influence the vibration or the sound at all. It allows total vibration of the guitar! Offers an unlimited comfort for the forearm, eases and improves the playing technique. 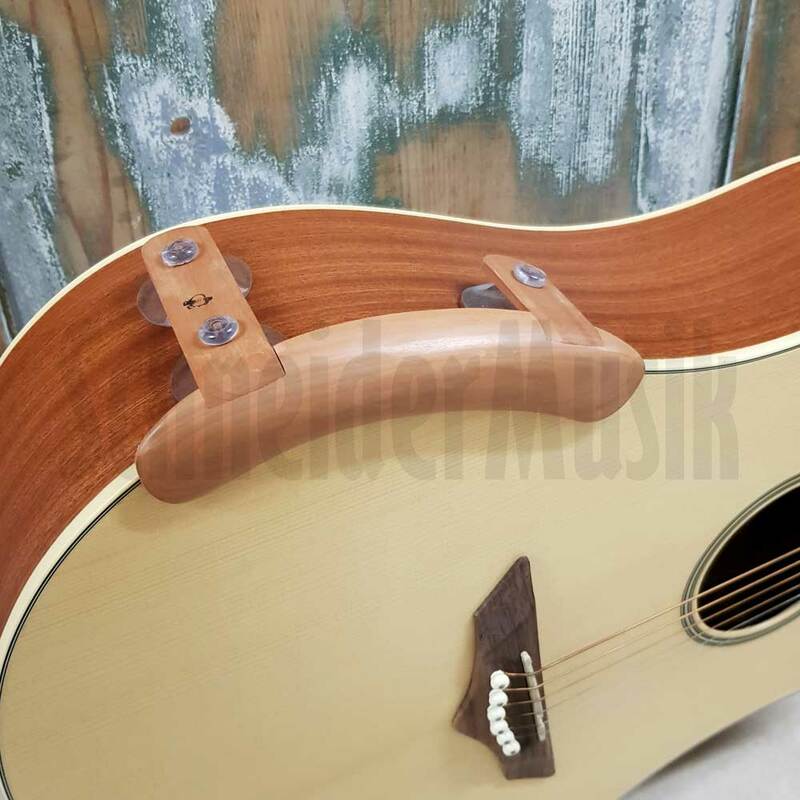 The arm rest an be easily installed and removed, because the specially selected suction cups fix the arm-rest at the side of the guitar.